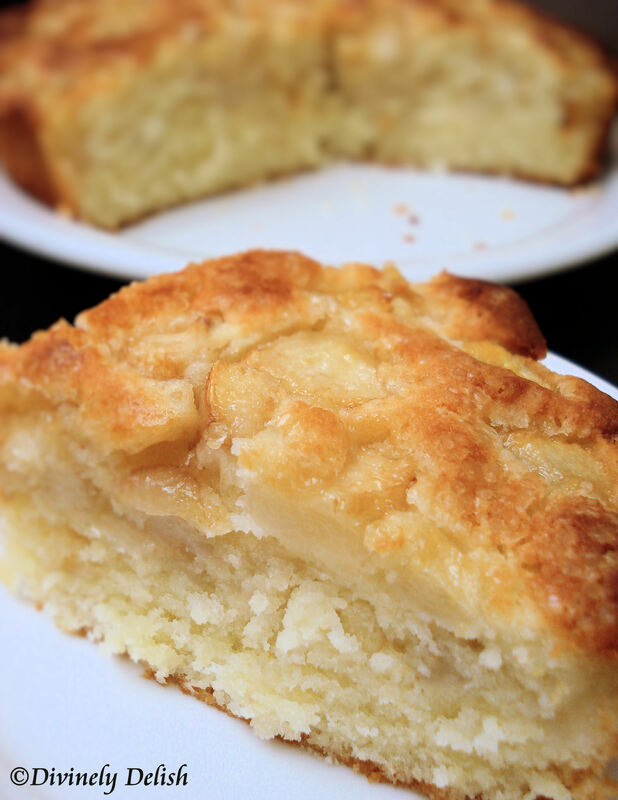 If, like me, you’re not crazy about eating pears on their own, and you somehow find yourself with more pears than you know what to do with, try making this simple cake. You probably already have all these basic ingredients in the kitchen and, depending on how many pears you have and personal preference, you can use anywhere from two to six pears. The fruit makes this a very moist cake, although I did find it a little plain-tasting. So kick it up a notch and try it with vanilla or caramel ice cream, caramel or chocolate sauce…or whatever suits your fancy! 1) Preheat oven to 180 C (350 F). Butter a 23-cm (9-inch) springform pan. Peel and take out the core of the pears, cut into pieces. 2) In an electric mixer, mix butter and sugar until fluffy. Add the eggs, one at the time, and stir well. 3) Sift the flour and baking powder together, mix some of it onto the batter, then add some of the milk, then some of the flour mixture, etc. until all is blended. But mix as little as possible. 4) Smear half of the batter in the spring form pan. Spread half of the pear pieces on the batter. Cover with the rest of the batter, add another layer of pear pieces (push them down slightly into the batter). Sprinkle with demerara sugar. 5) Bake for 30-45 minutes, depending on the amount of pears used. (Many pears -> more moist -> longer baking time.) But check after 30 minutes to be sure. Insert a skewer into the centre of the cake – if it comes out clean, the cake is ready.